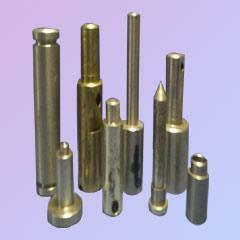 We are the best provider of Turned Metal Component which is duly designed for high quality and performance. 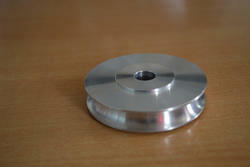 We are the best provider of Turned Metal Component which is duly designed for high quality and performance. Our products are known in the market for their superior varieties and durability. These are widely appreciated for their sustainability, reliability and précised designs. We ensure the most reliable products which is available in best specification at the most profitable price range. Widely used to reduce a larger connection to a smaller connection. We use high grades of Stainless Steel, and our range of Stainless Steel Parts is widely used in diverse industries. Complete emphasis islayed on the technical, mechanical and all other parameters. We make sure that these are qualitatively forged and we offer them at best industraial prices. Presenting an exclusive range of metal bonded parts that are have a proven performance in diverse industry. Our metal bonded parts are widely acclaimed for their excellent performance and long service life. These parts are available in variety of specification as per the requirement of the client.